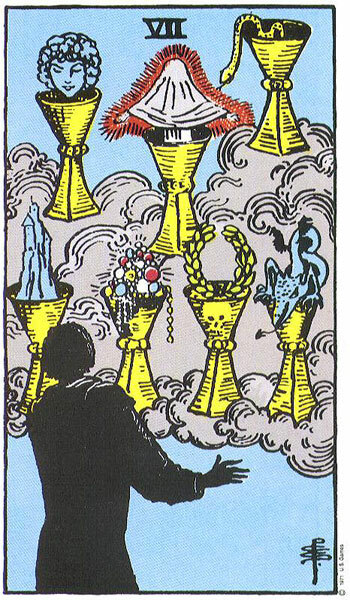 As I was studying the Rider Waite Tarot deck the other day, I thought to myself that I rarely pull the Seven of Cups. This was surprising to me because as with most INFJ personality types, I have the tendency to live in my own head. Sure enough, the Seven of Cups was the card that I selected this evening.